Mica Cap, or Glistening Coprinus (Coprinus micaceus aka Coprinellus micaceus) growing thru soil from decaying Beech tree roots. 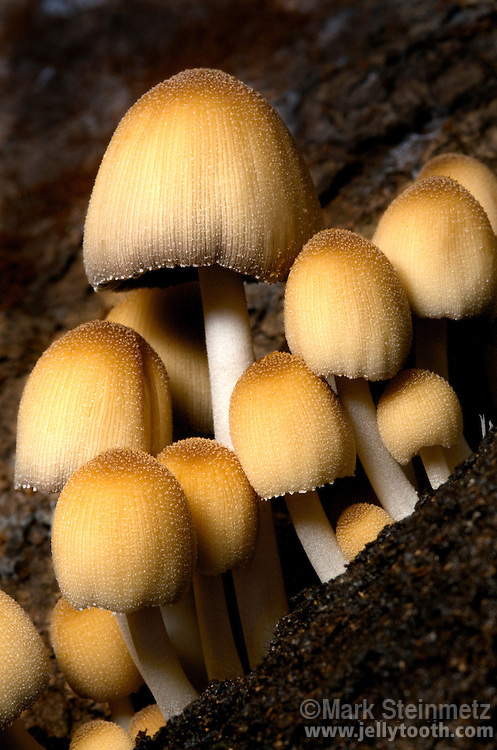 This mushroom is named after the glistening mica-like granules covering the caps, which can be seen in the young, fresh caps of this cluster. As with other species of Inky Caps, upon maturing, the caps will eventually liquefy into black goo as a unique method of dispersing spores. Edible, but not distinctive.